Castello di Spaltenna Hotel is an ancient feudal hamlet consisting of the church with its belltower dated 1000 d.C. and the ancient castle, splendid example od medieval architecture. Today an exclusive and comfortable hotel situated in the heart of the Chianti region sourrounded by vineyards and woods. The Restaurant della Pieve, situated in the centuries old hall of Castello di Spaltenna, an ancient fortified monastery surrounded by the vineyards and woods of Chianti offers traditional cuisine in an elegant and creative style. TuscanyOk.com is your Tuscany rentals on-line catalogue: choose your favourite accommodation among charming farmhouses, exclusive Tuscany villas, hotels, apartments and bed and breakfast. Your lodging without agency fees: contact directly accommodations’ owners ! TuscanyOk.com selects the best accommodations for your holidays and honeymoons in Tuscany - Italy. 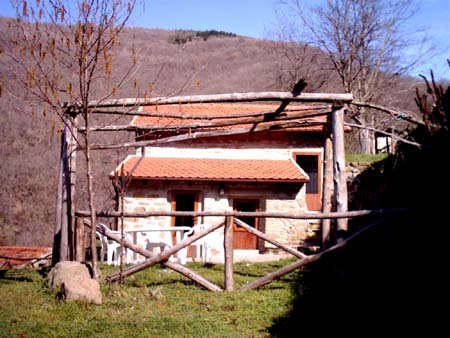 Special lodgings in villas, hotels, farmhouses, apartments, bed and breakfast for your comfortable stay in Tuscany.